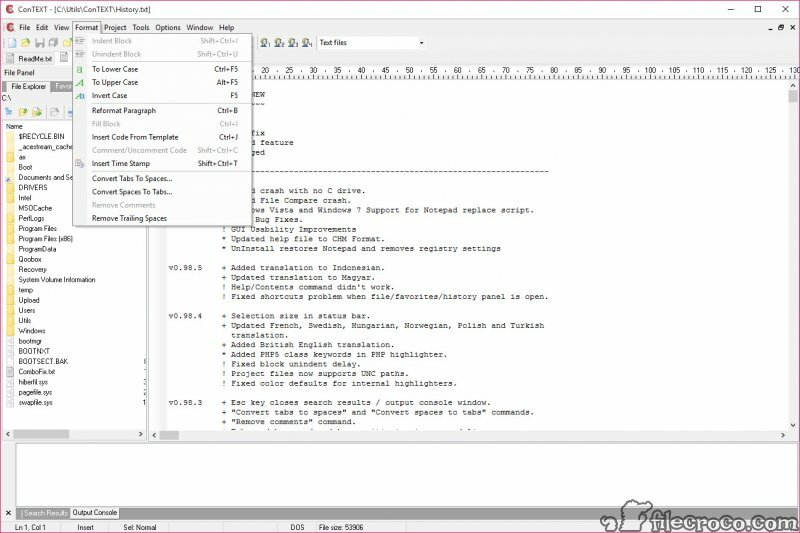 If you need a fast, powerful and reliable free text editor, ConTEXT would be one of the best options for you. It comes with a custom syntax highlighter, so software and Web developers will find it quite useful. Although small and versatile, ConTEXT comes with plenty of nifty features and options. It even supports automatic C- or Java-style block indent and outdent. 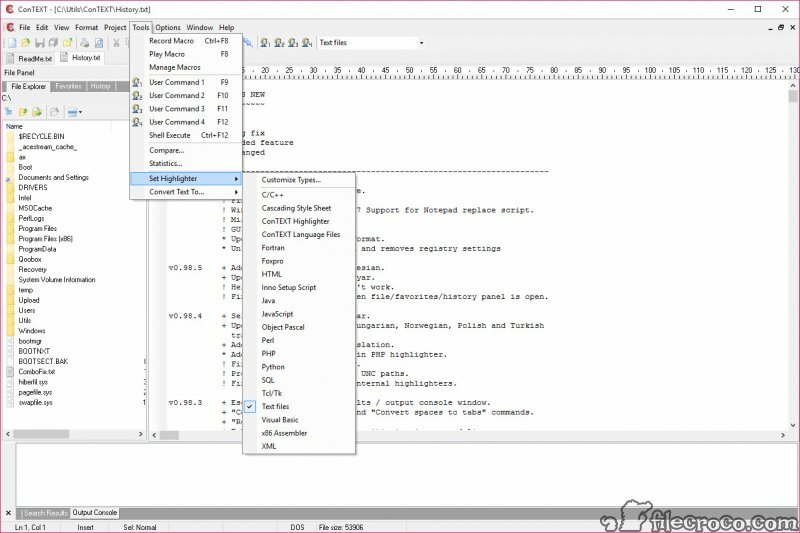 Unlike many other similar free text editors, it allows you to have virtually unlimited open files. 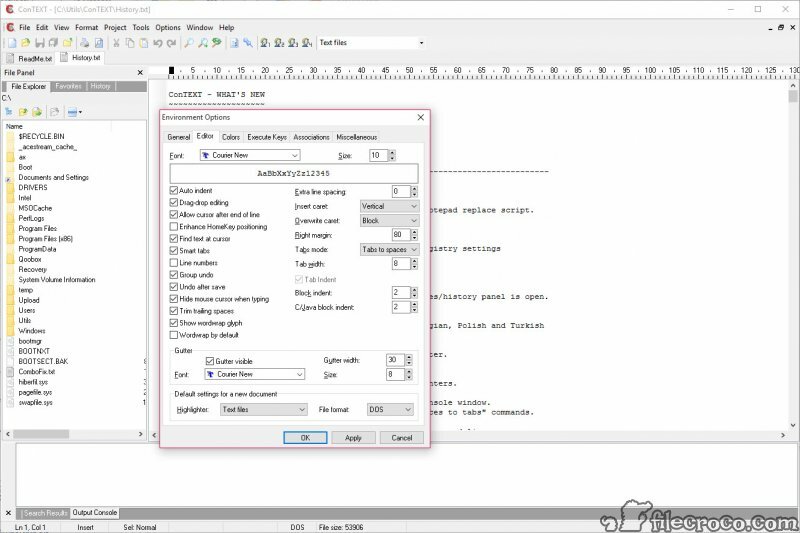 You can easily switch from one file to another, as well as move and resize them. This makes comparing different documents side by side a breeze. You can edit files of any size, with a line length of 4kB. Most other editors are having trouble opening large files ‘ it either takes too much time or they simply crash. It supports Unicode UTF8 encoding, has powerful syntax highlighting (C, C++, C#, HTML, CSS, SQL, Perl, Java, and many others). You can customize the highlighted options yourself for even greater efficiency. The program also comes with many code templates and allows you to easily comment and uncomment specific code. A nice option is the File Compare, with which you can select two files and compare their contents. It’s very useful when you need to quickly find some changes in various versions of the same document. 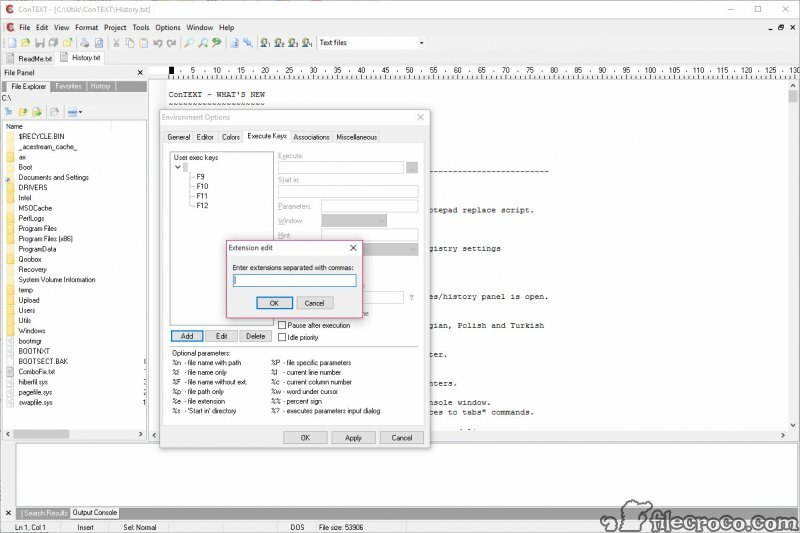 This little tool is perfectly able to export to HTML and RTF formats. It can also convert between DOS, UNIX and Mac formats easily. You get a macro recorder option for when you want to record a few actions and then repeat them with a single click of the mouse. Keep in mind that macro recording features are usually reserved for premium text editors. Another very useful feature is the find and replace option. You can not only find and replace specific parts of the documents, but also find and replace text in all open files. It’s just like editing dozens of documents all at once. You can minimize the program to the system tray when not using it, so save some space on your taskbar. The software is multilingual (English, German, French, Russian, Chinese, etc.). 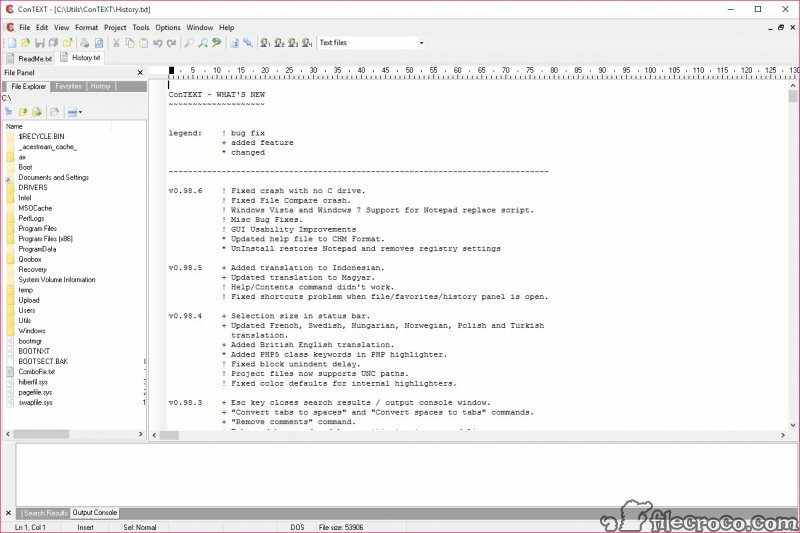 Overall, ConTEXT is a free, very powerful text editor that comes with many advanced features usually reserved for paid applications. It may not be quite as good as Notepad++ and Vim, but it is also smaller, faster and easier to learn and use.